Today I'm so excited to interview Kris Summers, who just started college this Fall, and who not only reads a lot, but also has been blogging while in high school about books with her friend Hikari (who I'll be interviewing for this series later) at Imaginary Reads. I enjoy reading their book reviews and they do quite a few book giveaways so I recommend you check it out. Hi Kris. Thanks so much for joining us. I’m a first year university student with a love for reading, writing, and blogging. (Note: I’m not majoring in English. I may love reading and writing, but it doesn’t mean I like to spend my days analyzing literature!) In general, I’m open to any books excluding horror and thrillers, but I do have a preference for contemporary and paranormal romances. I’ve also been getting into dystopian novels lately. 2. My daughter and I have been getting into dystopian novels lately too. Before you started blogging, how did you find out about the books you read? What about new books coming out? I started blogging around the time that I found Goodreads and book blogs in the late Fall of 2010. Before then, I would skim the library shelves of my school and the public libraries, or I’d go to Barnes and Noble and look around the shelves for contemporary/fantasy books. (It was after I started blogging that I started reading paranormal romances and dystopian books.) I started Imaginary Reads late April 2011. 3. What made you decide to start blogging? How did your blog partnership with Hikari come about? I started blogging because it looked fun. Every blog I saw was so enthusiastic about the books read and reviewed, and I wanted to share my opinions. At first, I started a personal/writing blog because I really enjoy writing and because it lets me talk about funny, random things like a series of photos I put together like a comic strip with captions underneath. Then I began to notice a conflicting desire to blog about reading and writing. I’d started posting some book reviews at my blog, and I wanted to share them with more people. However, I had noticed that most book blogs were centered on books, so I decided to start running two blogs. Because I was in school at the time, I wasn’t sure if I could handle a book blog by myself, soI asked my good friend Hikari if she’d like to blog with me. It took a little wheedling, but she finally agreed. And am I glad she did! We’ve gotten a lot closer while working together on Imaginary Reads. 4. That's so awesome you have a blogging partner. I love being Casey's blog partner and don't think I could handle blogging without her too. How has blogging changed what you read, if at all? What books are you waiting to be released? Blogging has definitely changed what I read. It has opened me to many books that I hadn’t read before and wouldn’t have read if the reviews (and ratings) didn’t attract me. Since book blogging, I’ve begun reading paranormal romances and dystopian novels. I’m currently waiting for a bunch of sequels to be released, including Wings of the Wicked by Courtney Allison Moulton, Hallowed by Cynthia Hand, Endlessly by Kiersten White, Bloodrose by Andrea Cremer, Inheritance by Christopher Paolini, and the sequels to Carrier of the Mark and Dark Inside, both of which I’ve been lucky to receive ARCs of. 5. I can't wait for Bloodrose and Endlessly too though I'm just going to read the second books in theses series soon. You're ahead of me. But I've found my reading tastes have expanded too from blogging and I'm reading some books I might not have picked up. Do you buy most of your book, receive ARCS, or get them at the library? How often do you go to a bookstore? I do receive a fair number of ARCs to review, but I also check out a lot of new releases from the local public libraries when they receive them, or I’ll buy them on my Kindle. Since getting my Kindle, I’ve rarely had reason to go to the bookstore. It’s a portable, wireless library after all! 6. I love the library too and read many books from there I'm not giving away here. I don't have a Kindle yet. Do you read any teen book blogs, author blogs, or author or publisher websites? 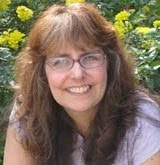 Become a fan of an author on Facebook? Why? All of the above. Reading book blogs is a great way to find new books and to find out if a book is for you. The reason I’ll return to a book blog dependent on our common interests. The more kinds of book interests you share with a book blogger, the more likely you are to return and check out what they’ve read/ what authors they’re hosting. I read author blogs and fan their Facebook pages because I like their sense of humor (like Kiersten White’s), or because I’m interested in what’s coming next from said author, the latter of which is the same reason I’ll read a publisher’s website. I’m a big fan of many Harper Teen and Penguin books, so I frequent the websites for the titles of upcoming releases. 7. I'll have to check out publisher websites more. Thanks for the tip. Have any of your teachers recommended any blogs or websites to your class or to you? I once asked my English teacher how she finds new books, and she recommended that I check the bookstore or look on Goodreads. Other than that, I haven’t really talked to a teacher about book blogs and websites, and they make recommendations other than where we can buy required readings. I get the vast majority of my recommendations from fellow book bloggers. 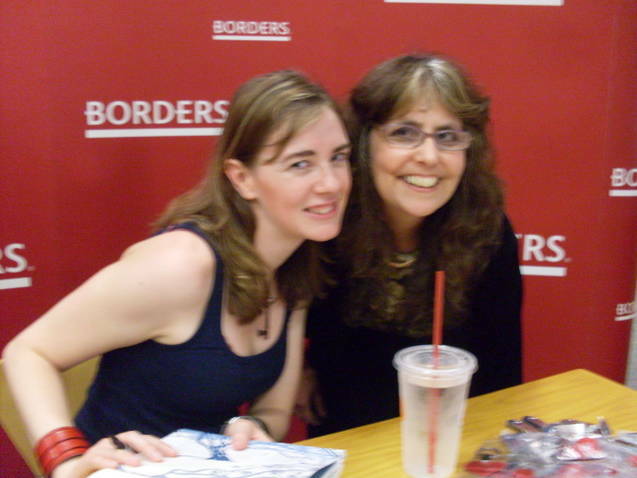 In general, I don’t visit author websites because all of the fun is in the blog, though I will fan authors that I like on Facebook to show my support (and for updates on events, upcoming releases, and blog posts). I love visiting blogs where authors talk about more than their books. I like hearing about… okay, this is going to sound stalkerish… what’s going on in their lives. Not the nitty gritty, but the fun stuff. 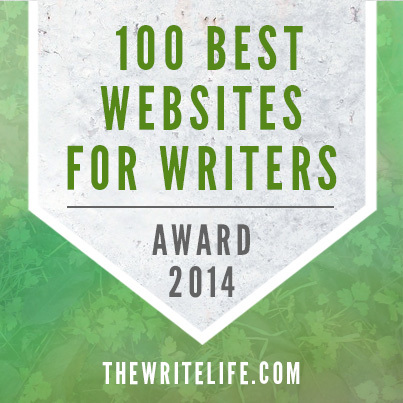 Like what you see at Kiersten White’s blog. And Stephanie Perkins’s blog. 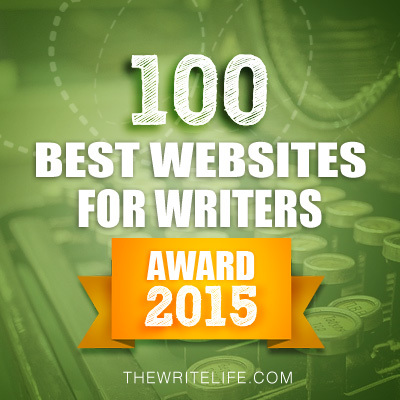 Those are but two examples of author blogs that I love! 9. That's good to know that as a reader you like to read author blogs. Have any authors visited your school? Who? Is there anything you’d recommend that an author do to make their presentation more interesting to you and other kids at your school? Unfortunately, I’ve never had an author visit my school. I really think that my past schools have been swarming with book-deprived zombies. It’s been years since I had a best friend (offline) who reads just as much as I do. I don’t know what kind of recommendations I’d make to an author, but there is one universal fact that I know. If you’re enjoying yourself on stage, then in general your audience will have fun too. It doesn’t hurt to have a wicked sense of humor. 10. Do you see starting college changing your reading habits or your blogging? If so, how? I’ll definitely have less time to read since I’m determined to study hard (and party hard… in the good, non-alcoholic way). I might resort to reviewing books that I’ve already read—or start writing shorter reviews, something that I’ve been telling myself to do. Once I start writing a review, I want to pore all my thoughts out onto the screen, which is bad. No one wants to read a ten-page essay on all my likes and don’t-likes of a book! Thanks for all your awesome advice Kris! Good luck with college and blogging. Today I'm also giving away a signed copy of FOREVER by Maggie Stiefvator. She came to Novi, Michigan on July 18th and I got to meet her. It was a highlight of my summer. 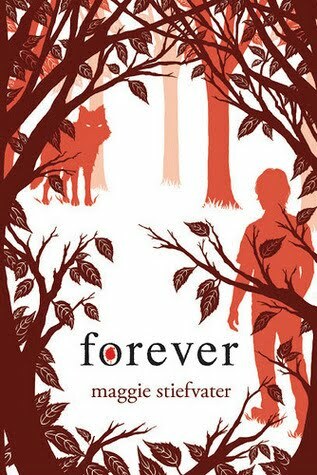 I'm a huge fan of Maggie's and got an extra SIGNED copy of FOREVER to share with you. I loved watching Grace and Sam's journey. And we get to learn more about Isabel and Cole, two very complex characters, through their POV. I'm giving away one SIGNED copy of FOREVER. All you need to do is be a follower (just click the follow button if you’re not a follower) and leave a comment about my interview with Kris by midnight on October 1st. Please leave your e-mail address with your comment if you don't have it on Blogger. I’ll announce the winner on October 3rd. International entries are welcome. Next week I'll be interviewing Kiki Hamilton and giving away a copy of her debut book THE FAERIE RING. And on October 3rd, I'll be interview Hilary Wagner and giving away a copy of THE WHITE ASSASSIN. Thanks for having me over here, Natalie! Hahaha, I didn't take that much wheedling to start blogging...! Thanks Kris for letting me interview you. And glad she didn't have to twist your arm to be her partner Hikari. What a fascinating young woman. Thanks for featuring her here, Natalie. I loved Kris's comments about authors' blogs. I'll be checking out the two she recommended! Great perspective! I would say these girls are definitely ahead the game for their age. Some really great questions and answers. It's nice knowing what fans want to see from authors. Thanks for the feature and the giveaway! Book blogs take a lot of work and I'm so impressed when they are started by teens. Kudos to Kris and Hikari! I agree that reading authors' blogs is a great way to learn their sense of humor and what they are like; it gives as much insight into whether I'll like a book as the summary on the jacket. Fantastic interview Kris and Natalie. Blogging and being in the book community has also led to me read books I probably wouldn't have before. What a great thing! Good luck in college, Kris! Terrific interview. I must say Kris you really are a together and mature young woman. Although you want to party hearty, you still want to work hard. That's admirable ... there should be a balance in life. Sieze the day! Make it all you can. Life is exciting and it's just beginning for you. Good luck and keep up that wonderful positive energy. The world needs it. Wow, that's fun to see how a person started a book blog! I could never do that, especially with the commitment to reading and reviewing books on a consistent basis! Anyways, I would love to be entered for FOREVER since I still haven't gotten this book yet! 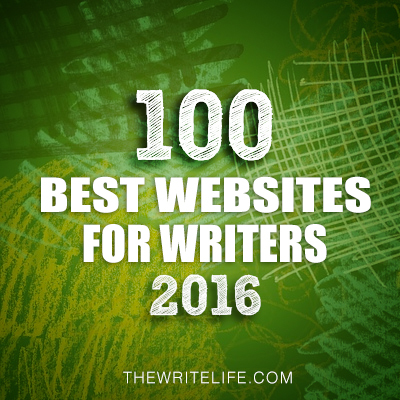 I completely agree that I enjoy author blogs that talk about more than just their books. At the risk of also sounding stalkerish, I enjoy reading about just random things in their lives or at least their publishing lives. It makes them more human. Very thorough interview, Natalie. And how interesting that Kris isn't an English major! The only sentence that made me think twice (I'm a bookseller) is this one: "Since getting my Kindle, I've rarely had reason to go to the bookstore." This is why bookstores as we know them are in danger of disappearing forever (and then where will authors go for signings?) Of course, we need to learn to adapt to the digital world if we want to survive. And speaking of Forever... I LOVE that book and would love to win a signed copy! Thanks for the chance. How very cool that the young adult audience is discussing the books that they like! I think this will be a site I'll go to more and more now that I know about it. Great interview! Yikes! Another blog to add to my expanding list. Typing one handed cause of broken arm in cement cast. AAARRRGH! Come enjoy Pirate Alphabet starring some of your favorite authors and illustrators. Thanks again for the follow! I can't find your Google Friends Connect or I'd follow back. Wait, followed through the 'follow' in the top bar - got it! I, too, love that reading stimulates such great discussion and blogging! Thank you for the interview, Kris and Natalie! And Natalie, I have NOT read these yet and would SO love to win it! And yes, blogging partners are the BEST!!!! Cool interview! It's funny tho because for me having a blogging partner would be hard. I'm kind a control freak in certain situations! I'd love to meet Maggie someday. What a great interview! Quite often I get bored of these interviews and end up skimming but this one held my interest. I think it's fascinating that some of today's teens are so involved with the Internet in a positive way. 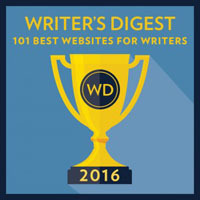 I just became a follower of their book blog and look forward to reviewing the content there. Thanks for the giveaway too! I would love to read this book. I listened to the first two on audio (not enough time to put eyes to paper so sometimes my ears have to read for me!) and -voices aside- I really enjoyed the stories and the different take on werewolves. I have a signed copy of FOREVER, so no need to enter me. But I wanted to thank you for the interview. I read more since I started blogging, too - I'm so much more aware of what's out there than I was before. And good luck to Kris! I like the attitude about having a good work-play ethic. Keep your head on straight, and you won't go wrong. I LOVE that you do this. Great insight. I get almost all my book recommendations from blogs. It is interesting to see that college kids are more tapped into the blogs than high school kids too. I'm excited for Hilary Wagner's interview. What a great interview!! 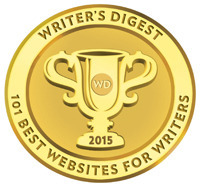 I loved hearing what makes a reader visit an author blog. And also nice to 'meet' a young adult who loves to read!!! Off to visit her blog. What a great interview. I am defo going to check out publishers websites for new reads. I love Maggie's writing, would be amazing to meet her one day. Thank you for this interview, let me know a little about the author. Great interview ! Although I don't have a blog,but when I'll have,I would prefer to have a blogging partner.It makes so much easier to run the blog !. thank you for this fantastic giveaway !